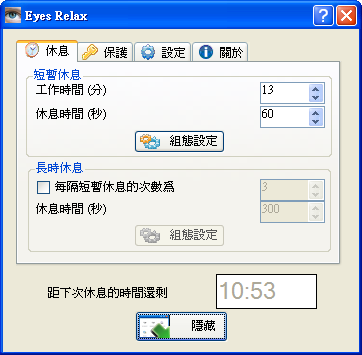 Eyes Relax is a little free Windows utility that reminds you about rest-time and save your eyesight. This software allows you to customize the duration of your work time and length of breaks. take a stroll outside your office.